This immaculately maintained home offers both beautiful curb appeal & sought-after PANORAMIC WOODED VIEWS! Interior features include hardwoods, crown molding & upgraded light fixtures/ceiling fans. Kitchen boasts upgraded cabinetry, stainless appliances, granite counters, tile backsplash & huge island w/seating area. Breakfast area is bathed in natural light & is adjacent to screened porch, perfect for morning coffee & all-day relaxation. Custom blinds afford incredible view of the private lot! The fenced backyard w/large paver patio is perfect for dining el fresco & entertaining! The Master Suite has triple windows & luxurious bath w/large shower & walk in closet. Upstairs features guest suite, loft/flex space & walk-in attic. The over-sized garage can accommodate a golf cart! 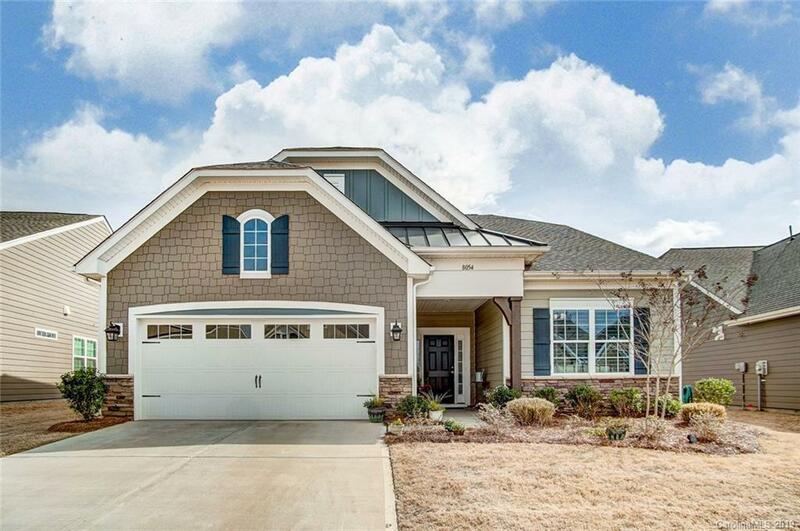 This active adult community has clubhouse, pool, tennis, bocce & pickle ball courts, fitness center & village w/library, billiards, business center, expansive decks w/rocking chairs overlooking the lake & more!